Exciting visit to J.L Boren Elementary! Inspiring young minds to read and write is a feeling like no other. Yesterday, I was honored to present to five grades at J. L Boren Elementary in Mansfield, Texas. A shout-out goes to their amazing librarian, Kristy Moore, who did a fabulous job setting up the day-long event and was a gracious hostess. Two moments during the day will remain in my mind forever. The first was when a second-grader came to the library during lunch, about an hour after I had presented to her class. She brought with her the first book she had ever written, which she wrote in class after hearing me speak. She said she was inspired to write it after hearing me talk about writing and my books. The sweetheart had stapled all the pages together and read her “first book” to Kristy and me. Talk about warming the heart! 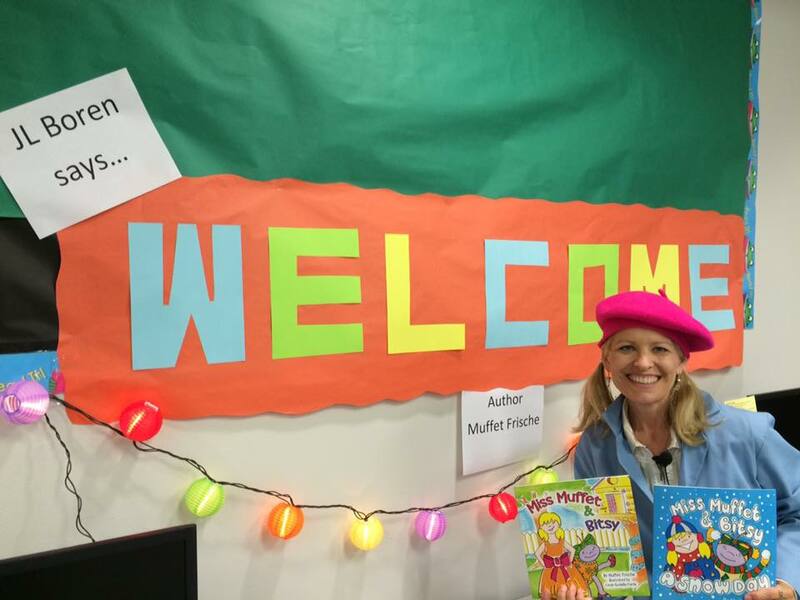 The next “forever” moment came when a young third-grader brought her mom in after school to purchase one of my books. She said that I had inspired her to start reading, and she couldn’t wait to start reading my novel! Words can’t express how much the heart-felt words of these two darling children meant to me. I am truly honored to play a small part in inspiring these kids to read and write. Priceless! “Miss Muffet & Bitsy” is now RELEASED!! Miss Muffet & Bitsy is now available for sale online! 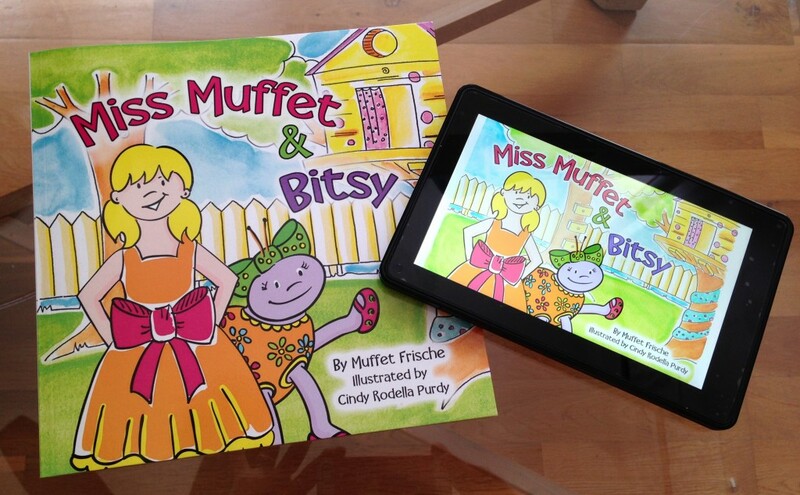 Miss Muffet & Bitsy is available in both paperback and Kindle versions on Amazon! Click here to purchase from Amazon! The paperback is also available at the Createspace eStore! Click here to purchase from Createspace! We would love for you to check it out! And if you like it, please leave us a review on Amazon or Goodreads! Miss Muffet & Bitsy will also be available on iBooks for Apple products in a few days! Thank you all so much for your support throughout this first self-publishing adventure! Please let us know what you think!! We’re off to start working on the second book in the series! !